Belinda received a First Class Honours degree in Biological Sciences from Murdoch University in 1989 and a PhD in Zoology from the University of Tasmania in 1996. She has taught in the areas of ecology, research methods, freshwater biology, marine biology and environmental management. Presently, she teaches Managing Wetlands and Water and Climate Change Adaptation: Ecosystems and Societies and contributes to units in Global and Regional Sustainability, Introduction to Environmental Science and Restoration Ecology. She has supervised over 20 Honours students and 9 PhD students. Her research interests focus on rivers and wetlands, examining the sustainability of biodiversity in agricultural, urban and conservation landscapes, especially freshwater ecosystems and riparian zones. Refuges from disturbance for biodiversity in landscapes especially refuges from drought and anthropogenic refuges. Resistance and resilience to climate change impacts and recovery pathways after extreme events: in particular drought and wildfire. Restoration ecology, including revegetation, re-snagging and environmental flow allocation. Recovery pathways following restoration. Catchment management issues, particularly the modification of flow regimes. Experimental design and data analysis. Spatial scaling of ecological pattern and process. She serves on the editorial boards of the journals: Austral Ecology, Freshwater Biology. Sustainability of biodiversity in agricultural and conservation landscapes, especially freshwater ecosystems and riparian zones. Refuges from disturbance for biodiversity in landscapes especially refuges from drought and anthropogenic refuges. Resistance and resilience to climate change impacts and recovery pathways after extreme events: in particular drought and wildfire. Restoration ecology, including revegetation, re-snagging and environmental flow allocation. Recovery pathways following restoration. Catchment management issues, particularly the modification of flow regimes. Experimental design and data analysis. Spatial scaling of ecological pattern and process. Freshwater biology and the ecology of freshwater algae and invertebrates, funciton of freshwater ecosystems. 2011-2013 National Climate Change Adaptation Research Facility and National Water Commission. $340735. With Ed Chester, Jane Chambers & researchers from Deakin University and the University of Western Australia. Project title: Novel methods for managing freshwater refuges against climate change in southern Australia. Project summary. The NWC Waterlines report “Identification and management of refuges for aquatic organisms” reviewed refuges and listed potential management strategies for refuges for freshwater biodiversity. The list included well established management methods such as environmental flow releases, which, while useful for climate change adaptation, do not expand the climate change adaptation toolbox. The report also identified some novel methods for managing refuges: removing redundant water regulation infrastructure to restore connectivity to river systems and to provide increased access to refuges; using cool-water environmental flow releases and riparian replanting to tackle temperature changes; identifying, managing and re-designing anthropogenic habitats to optimise their ability to act as refuges. This project aims to determine whether these novel methods can be used as part of a climate change adaptation strategy for freshwater biodiversity. Each method will be investigated by a team with a strong track record in that area, using either a desktop analysis of existing information and/or data collection. Evaluation of the feasibility and usefulness of each method for managing refuges will be delivered, providing knowledge that environmental managers can incorporate into climate change adaptation strategies. 2005 – Australian Society for Limnology Early Career Excellence Award – the ASL is Australia’s premier society for freshwater science. This award is a National Award for Early Career Excellence in Research. 2005 – Vice-Chancellors Awards for Excellent Contributions to Research (Early career researcher) Deakin University. 2005-2009 – Land & Water Australia in cooperation with the Glenelg-Hopkins Catchment Management Authority, Wimmera Catchment management Authority and Corangamite Catchment Management Authority $341 127 (total value of project $778983), with Ed Chester and Chris Austin. Project title: Environmental water allocation required to sustain macroinvertebrate species in ephemeral streams. 2008 – National Water Commission. $79030. With Ed Chester, Ty Matthews& Brad Mitchell. Project title: Water Dependent Ecosystems: Recovery pathways after flow restoration & importance of refuges for aquatic organisms. 2004 – National Action Plan for Salinity, Glenelg-Hopkins Catchment Management Authority Grant $47250, with Ty Matthews. Project title: Environmental flows and the role of drought refuges in sustaining food webs in intermittent streams. 2000 – Australian Research Council Strategic Partnerships with Industry, Research and Training Scheme Grant. $62 466 Industry Partner – Corangamite Catchment Management Authority. Project title: How does streamside vegetation management affect ecosystem health in rivers? 2008-2010 – Robson, Chester, Matthews. Passing flows for Victoria Range Streams. Glenelg-Hopkins CMA, Wannon Water $72800. 2007-2008 – Robson B.J. Evaluation of the ecological response to large scale river restoration in the Gellibrand and Carlisle Rivers, Western Victoria. Corangamite CMA $50000. 2012 – “Novel methods for managing freshwater refuges against climate change in southern Australia.” Showcasing Climate Adaptation Research, NCCARF, Piney Lakes Environment Centre, Perth. 2011 – “Disturbance and drought in freshwaters.” Special Session in honour of Prof P.S. Lake: Theoretical predictions and empirical reality – insights from dispersal and disturbance ecology. 50th Australian Society for Limnology Annual Congress, Brisbane. 2005 – “In-stream effects of riparian vegetation on invertebrate populations”. Riparian Vegetation Workshop, held jointly byDeakinUniversityand the Department of Primary Industry, Warrnambool. 2005 – “A strange love for field experiments in streams (or how I learned to stop worrying and love negative results” Australian Society for Limnology Annual Congress, Hobart. Early Career Excellence Award Address. 1998 – “Ecological questions about flow patterns in rivers.” Centre for Water Research Environmental Dynamics Seminar,UniversityofWestern Australia. 1998 – “An experimental approach to studying the effects of turbulent flow on lotic invertebrates.” North American Benthological Society AnnualMeeting,Prince Edward Island,Canada. Australian Society for Limnology – Vice-President 2010-2011. Director and Chair of the Board of the Marine and Freshwater Research Laboratory, Murdoch University. 2010 – present. 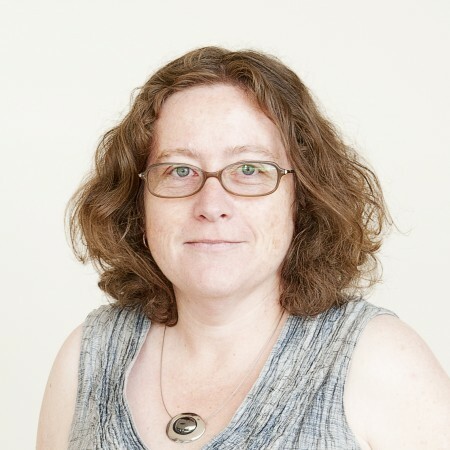 Deputy Dean, School of Environmental Science, Murdoch University 2011 – present. Programme Chair for Sustainability Science 2011 – present. Board member: Centre for Fish and Fisheries Research, Institute for Social Sustainability. Strachan S. Resilience and resistance of invertebrates to wetland drying. Commenced 2011. O’Toole P. The effectiveness of riparian zones to reduce nutrient input to streams in Ellen Brook catchment, Western Australia. Commenced 2011. Paice R. Restoration of the lower Vasse River, Busselton. Commenced 2011. Chilcott S. Ecological thresholds in the Margaret River Caves. Lind P.R. (2004) Ecological response to environmental flows in two lowland rivers. PhD Thesis, DeakinUniversity. (Co-supervised with B. Mitchell). Thomas D.J. (2006) Herbivores of low mobility in an upland stream: interactions with algae and other herbivores.University of Melbourne (co-supervised with B.Downes). Chester E.T. (2006) Resource heterogeneity for stream detritivores.Deakin University. (Co-supervised with B. Mitchell). Mackenzie P.(2007) Dispersal ecology of Hormosira banksii.Deakin University. (Co-supervised with A. Bellgrove). Johnston K. (2008) Ecology of freshwater crayfish in the Grampians National Park. Deakin University. (Co-supervised with T. McRae). Danger A.R. (2010) Flow patterns affect leaf processing by invertebrates in temperate streams. Deakin University. 1999 – Thomas D. The influence of large woody debris on flow regimes and benthic invertebrates in a lowland river. Honours thesis (First class), Murdoch University. 2000 – McKay S.F. The ecology and management of the Gellibrand River estuary and wetlands. Honours thesis (First class),Deakin University. 2000 – Forrester T. Macroinvertebrate community structure in Otway Ranges coastal streams: multiple spatial scales of heterogeneity. Honours thesis (First class), Deakin University. 2000 – Danger A. The effects of land use on leaf litter processing by macroinvertebrates in Skenes Creek. Honours thesis (First class),Deakin University. 2000 – Kelly L. The management of ecological impacts of nutrients, vegetation and river mouth opening processes in the Gellibrand River estuary and wetlands.. Honours thesis (IIA), Deakin University. 2005 – Wickson S. Morphology, genetics and distribution of caddisflies of the genus Anisocentropus in western Victoria. Hons thesis (First Class),Deakin University. 2006 – Thomas N. Algal drift in intermittent streams. Hons thesis (First Class), Deakin University. 2006 – Downey B. Competition among net-spinning caddisflies in Mt Emu Ck. Hons thesis (First Class),Deakin University. 2006 – Woodburn M. Small-scale spatial variability for invertebrates in the Johanna River, Victoria. Hons thesis (First Class),Deakin University. 2008 – Lovell A. Oviposition and pupation site selection by macroinvertebrates of streams in the Grampians National Park. Hons thesis (First Class),Deakin University. 2009 – Rackemann S. Diversity of insect taxa associated with waterfall and adjacent riffle habitats in south-west Victoria. Hons thesis (First Class), Deakin University. 2009 – Mackie J. Recolonisation of macroinvertebrates within intermittent streams of the Grampians National Park, Victoria, Australia. Hons thesis (First Class), Deakin University. Bogan, M., Chester, E., Datry, T., Murphy, A., Robson, B., Ruhi, A., Stubbington, R., Whitney, J., (2017),Resistance, resilience and community recovery in ntermittent rivers and ephemeral streams,In: Intermittent Rivers and Ephemeral Streams, Candice Janco, pages 349 to 376. Boix, D., Kneitel, J., Robson, B., Duchet, C., Zuniga, L., Day, J., Gascon, S., Sala, J., Quintana, X., Blaustein, L., (2016),Invertebrates of Freshwater Temporary Pondsin Mediterranean Climates,In: Invertebrates in Freshwater Wetlands: an international perspective on their ecology, Springer International Publishing, pages 141 to 190. Hill, M., Hassall, C., Oertli, B., Fahrig, L., Robson, B., Biggs, J., Samways, M., Usio, N., Takamura, N., Krishnaswamy, J., Wood, P., (2018), New policy directions for global pond conservation,	Conservation Letters, 2447, , pages -. Robson, B., Chester, E., Matthews, T., Johnston, K., (2018), Post-wildfire recovery of invertebrate diversity in drought-affected headwater streams,	Aquatic Sciences: research across boundaries, 80, 21, pages -. Carey, N., Strachan, S., Robson, B., (2017), Impacts of Indian waterfern (Ceratopteris thalictroides (L.) Brongn.) infestation and removal on macroinvertebrate biodiversity and conservation in springï¿½fed streams in the Australian arid zone,	Aquatic Conservation: marine and freshwater ecosystems, 28, 2, pages 466 - 475. Strachan, S., Chester, E., Robson, B., (2016), Fringing trees may provide a refuge from prolonged drying for urban wetland invertebrates,	Urban Ecosystems, 19, 3, pages 1213 - 1230. Strachan, S., Chester, E., Robson, B., (2016), Habitat alters the effect of false starts on seasonal-wetland invertebrates,	Freshwater Biology, 61, 5, pages 680 - 692. Strachan, S., Chester, E., Robson, B., (2015), Freshwater Invertebrate Life History Strategies for Surviving Desiccation.,	Springer Science Reviews, 3, , pages 57 - 75. Chester, E., Miller, A., Valenzuela, I., Wickson, S., Robson, B., (2015), Drought survival strategies, dispersal potential and persistence of invertebrate species in an intermittent stream landscape,	Freshwater Biology, 60, 10, pages 2066 - 2083. Johnston, K., Matthews, T., Robson, B., Chester, E., (2014), Impacts of Extreme Events on Southeastern AustralianFreshwater Crayfish,	Freshwater Crayfish, 20, 1, pages 61 - 71. Strachan, S., Chester, E., Robson, B., (2014), Microrefuges from drying for invertebrates in a seasonal wetland,	Freshwater Biology, 59, 12, pages 2528 - 2538. Chester, E., Matthews, T., Howson, T., Johnston, K., Mackie, J., Strachan, S., Robson, B., (2014), Constraints upon the Response of Fish and Crayfish toEnvironmental Flow Releases in a Regulated Headwater Stream Network,	PLoS One, 9, 3, pages -. Duggie, J., Robson, B., (2014), Climate change adaptation support tools in Australia,	Regional Environmental Change: natural and social aspects, 14, 1, pages 401 - 411. Chester, E., Robson, B., (2014), Do recolonisation processes in intermittent streams have sustained effects on benthic algal density and assemblage composition?,	Marine & Freshwater Research, 65, 9, pages 784 - 790. Robson, B., Chester, E., Mitchell, B., Matthews, T., (2013), Disturbance and the role of refuges in Mediterranean climate streams,	Hydrobiologia: the international journal on limnology and marine sciences, 719, 1, pages 77 - 91. Chester, E., Robson, B., (2013), Anthropogenic refuges for freshwater biodiversity: Their ecological characteristics and management,	Biological Conservation, 166, , pages 64 - 75. Rackemann, S., Robson, B., Matthews, T., (2013), Conservation value of waterfalls as habitat for lotic insects of western Victoria, Australia,	Aquatic Conservation: marine and freshwater ecosystems, 23, 1, pages 171 - 178. Mackie, J., Chester, E., Matthews, T., Robson, B., (2013), Macroinvertebrate response to environmental flows in headwater streams in western Victoria, Australia,	Ecological Engineering, 53, , pages 100 - 105. Howson, T., Robson, B., Matthews, T., Mitchell, B., (2012), Size and quantity of woody debris affects fish assemblages in a sediment-disturbed lowland river,	Ecological Engineering, 40, , pages 144 - 152. Wickson, S., Chester, E., Robson, B., (2012), Aestivation provides flexible mechanisms for survival of stream drying in a larval trichopteran (Leptoceridae),	Marine & Freshwater Research: advances in the aquatic sciences, 63, 9, pages 821 - 826. Robson, B., Chester, E., Austin, C., (2011), Why life history information matters: Drought refuges and macroinvertebrate persistence in non-perennial streams subject to a drier climate,	Marine & Freshwater Research: advances in the aquatic sciences, 62, 7, pages 801 - 810. Chester, E., Robson, B., (2011), Drought refuges, spatial scale and recolonisation by invertebrates in non-perennial streams,	Freshwater Biology, 56, 10, pages 2094 - 2104. Robson, B., Mitchell, B., Chester, E., (2011), An outcome-based model for predicting recovery pathways in restored ecosystems: The Recovery Cascade Model,	Ecological Engineering, 37, 9, pages 1379 - 1386. Johnston, K., Robson, B., Austin, C., (2010), Population Structure and Life History Characteristics of the Freshwater Crayfish Gramastacus insolitus and Geocharax falcata (Parastacidae) in the Grampians National Park, Australia,	Freshwater Crayfish, 17, , pages 245 - 253. Johnston, K., Robson, B., Austin, C., (2008), Population structure and life history characteristics of Eustastacus bispinosus and Cherax destructor (Parastacidae) in the Grampians National Park, Australia.,	Freshwater Crayfish, 16, , pages 165 - 173. Lind, P., Robson, B., Mitchell, B., (2007), Mulitple lines of evidence for the beneficial effects of sustaining environmental flows in two lowland rivers in Victoria, Australia.,	River Research and Applications: an international journal devoted to river research and management, 23, , pages 933 - 946. March, T., Robson, B., (2006), Association between burrow densities of two Australian freshwater crayfish (Engaeus sericatus and Geocharax gracilis: Parastacidae) and four riparian land-uses.,	Aquatic Conservation: marine and freshwater ecosystems, 16, , pages 181 - 191. Robson, B., Clay, C., (2005), Local and regional macroinvertebrate diversity in the wetlands of a cleared agricultural landscape in south-western Victoria, Australia.,	Aquatic Conservation: marine and freshwater ecosystems, 15, , pages 403 - 414. Robson, B., Hogan, M., Forrester, T., (2005), Hierarchical patterns of invertebrate assemblage structure in stony upland streams change with time and flow permanence.,	Freshwater Biology, 50, , pages 944 - 953. Robson, B., Barmuta, L., Fairweather, P., (2005), Methodological and conceptual issues in the search for a relationship between animal body-size distributions and benthic habitat architecture.,	Marine & Freshwater Research: advances in the aquatic sciences, 56, , pages 1 - 11. Johnston, K., Robson, B., (2005), Habitat use by the hymenosomatid crab Amarinus lacustris (Chilton) in two south-eastern Australian rivers.,	Marine & Freshwater Research: advances in the aquatic sciences, 56, , pages 37 - 44. Robson, B., (2004), The effects of land-use on leaf-litter processing by macroinvertebrates in an Australian temperate coastal stream,	Aquatic Sciences: research across boundaries, 66, , pages 296 - 304. Robson, B., (2004), Drought refuges affect algal recolonization in intermittent streams,	River Research and Applications: an international journal devoted to river research and management, 20, , pages 753 - 763. Robson, B., Chester, E., Barmuta, L., (2002), Using fractal geometry to make rapid field measurements of riverbed topography at ecologically useful spatial scales,	Marine & Freshwater Research: advances in the aquatic sciences, 53, , pages 999 - 1003. Robson, B., (2002), Floodplain wetlands of the Gellibrand estuary: what type of macroinvertebrate community,	Ecological Management & Restoration, 3, 2, pages 139 - 141. Robson, B., (2000), The role of residual biofilm in the recolonization of rocky intermittent streams by benthic algae.,	Marine & Freshwater Research: advances in the aquatic sciences, 51, , pages 725 - 732. Robson, B., Chester, E., Davis, J., (1999), Manipulating the intensity of near-bed turbulence in rivers: effects on benthic inverterbrates.,	Freshwater Biology, 42, , pages 645 - 653. Robson, B., Chester, E., (1999), Spatial patterns of invertebrate species richness in a river: the relationship between riffles and microhabitats,	Australian Journal of Ecology, 24, , pages 599 - 607. Robson, B., Barmuta, L., (1998), The effect of two scales of habitat architecture on benthic grazing in a river.,	Freshwater Biology, 39, , pages -. Robson, B., Lind, P., (1999),Hypotheses of the ecological benefits of environmental flows in lowland rivers,In: Second Australian Stream Management Conference. Robson B.J., Mitchell B.D., Chester E.T (2009) Recovery pathways after flow restoration in rivers. Waterlines Report Series No. 15, National Water Commission, Canberra. Robson B.J., Chester E.T., Mitchell B.D. & Matthews T.G. (2008). Identification and management of refuges for aquatic organisms. Waterlines Report Series No. 11, National Water Commission, Canberra. Robson B.J. (2008) Managing flows for ephemeral streams. Managing Rivers Fact Sheet No. 2. Land & Water Australia, Canberra. Mitchell B., Lind P. & Robson B.J. (1999) Hypotheses of the ecological benefits of environmental flows in lowland rivers. In: Rutherford, I. & Bartly, R. (Eds) Proceedings of the Second Australian Stream Management Conference, Vol 2, Adelaide, pp 445-449. Robson B.J. & Chester E.T. (1999) Spatial patterns of invertebrate species richness in a river: the relationship between riffles and microhabitats. Australian Journal of Ecology, 24: 599-607. Robson B.J.,Chester E.T. & DavisJ.A. (1999) Manipulating the intensity of near-bed turbulence in rivers: effects on benthic invertebrates. Freshwater Biology, 42: 645-653. Robson B.J & Barmuta L.A. (1998) The effect of two scales of habitat architecture on benthic grazing in a river. Freshwater Biology, 39: 207-220. Robson B.J. (1996) Habitat architecture and trophic interaction strength in a river: riffle-scale effects. Oecologia, 107: 411-420. Robson B.J. (1996) Small spate disturbance and the complexity of habitat architecture in Mountain River,Tasmania. Marine and Freshwater Research, 47: 851-855.